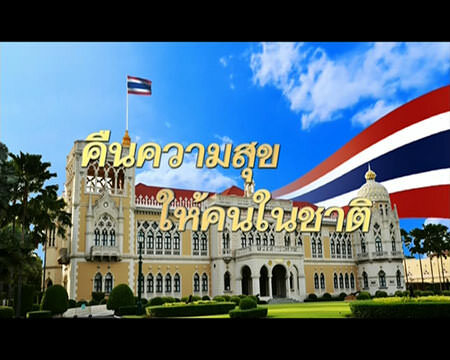 BANGKOK, 5 September 2015 (NNT) – Prime Minister Gen Prayut Chan-o-cha has confirmed that the government will always take the fiscal discipline into account when implementing its economic stimulus measures. Prime Minister Prayut disclosed that the government is urgently driving forward its policy to support small investment projects, such as the renovation of schools and government buildings. The placement of emphasis on small projects is intended to quickly stimulate employment and distribute income as budget disbursement can be made more easily. At the same time, the premier insisted that both domestic and foreign investments need to be promoted while the establishment of special economic zones must be conducted in a systematic, transparent and cost-effective manner. Gen Prayut clarified that the economic measures being adopted by the government are not considered populist policies as they are truly designed for the benefit of the people. He also promised that every project is in compliance with the fiscal discipline of the country and will be closely supervised by concerned officials.